STACK Gauges - Analog UNIVERSAL - Dezod Motorsports Inc - Home of the automotive performance enthusiast since 2002. 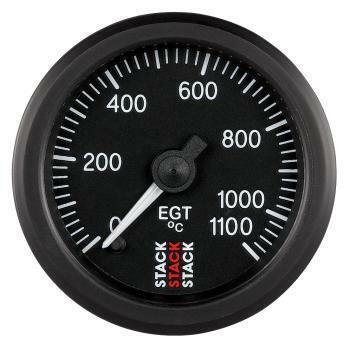 The Fuel Level gauge has 7 pre-set and a universal-programmable calibration, to suit all normal tank sensors with a resistance range of 0-280 ohms. All gauges come complete with wiring harness and associated sensor except fuel level and voltage gauges.